The Fairfield Ludlowe High School boys lacrosse team will host its 5th annual Sticks for Soldiers Thanksgiving Charity Invitational lacrosse tournament Saturday at the school's Taft Field. 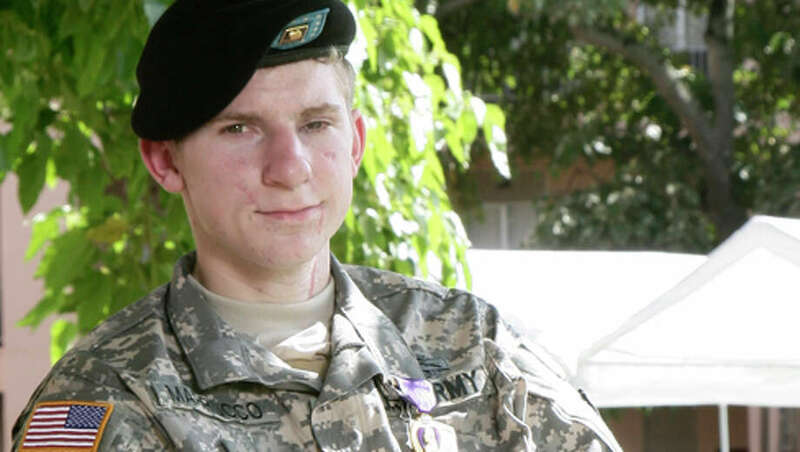 This year, the money raised will benefit Army Specialist Brendan Marrocco, a Staten Island, N.Y., native who was severely wounded in Iraq in 2009. Since its inception five years ago, the tournaments have raised more than $44,000 to help various causes benefiting American servicemen and woman. The event will begin at 9 a.m. and last until 3 p.m. Varsity teams from area high schools will play in a 7-on-7 tournament game format, with each of the 24 teams playing at least three games. Each team was required to pay a $400 entry fee and has been encouraged to raise additional funds. In addition to the games, there will be raffles and a silent auction to benefit Marrocco. "Fairfield Ludlowe lacrosse has been proud to host Sticks for Soldiers and grateful to the camaraderie found among participating teams from Connecticut and beyond," Mike Voucas, the event founder and chairman, said in a statement. "As a lacrosse community, Sticks for Soldiers is our way of showing respect to those veterans who have sacrificed so much for us. We encourage all players and teams to add to the fundraising efforts, help us raise the bar for Brendan, and add to the over $44,000 raised since the event's inception." Marrocco, 22, was injured when his vehicle was struck directly by an Explosive Fire Projectile (EFP) on Easter Sunday in 2009. His injuries were severe, but he became the first veteran of the wars in Iraq and Afghanistan to survive after losing all four limbs in combat. The money raised will help Marrocco build a handicap-accessible home. He still is being treated at the Walter Reed Army Medical Center in Washington, D.C., undergoing physical therapy and awaiting arm transplants. Lacrosse teams registered for the tournament, in addition to Fairfield Ludlowe, include Fairfield Warde, Fairfield Prep, Ridgefield, Weston, Brien McMahon, Joel Barlow, Staples, Westhill, Greenwich, Newtown, Guilford, Daniel Hand, New Jersey's Ridgewood and others. Donations may be sent to: Tom Mason, c/o Fairfield Ludlowe High School Lacrosse -- memo note, "Sticks for Soldiers" -- 134 Old Orchard Park, Fairfield, CT 06824. To learn more about fund raising efforts for Marrocco, visit his website, www.brendanmarrocco.org. For updated tournament information, schedules, location and tournament history, visit, www.stickforsoldiers.org.